The highly anticipated SciFi/horror film, LIFE will surely be a much talked about and debated movie this summer. After the initial teasers, Marvel tie-in theory and possible over acting by an all star cast, it was hard to tell if this was going to be a hit or a miss. 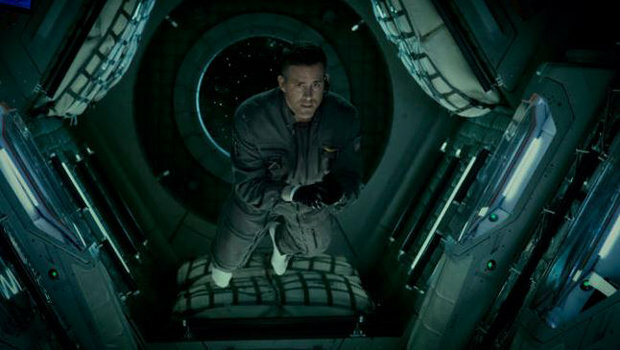 The film takes place on an international space station that has been eagerly awaiting samples from a Mars rover. Once received, a small organism is found amongst the soil samples, solidifying the theory that there is life beyond Earth. However not all aliens come in peace. Co-written by Rhett Reese & Paul Wernick, who also wrote Zombieland and Deadpool, LIFE stuck to the simple 5 character script outline that we are all used to. Simple, not overly complex personalities​ that don’t leave you feeling too attached if they survive or not. However, I had a bit of deja vu while watching the movie. Then it hit me. An obscure SciFi film, Dark Star, directed by cult horror master, John Carpenter in 1974. Although it has different plot points, I thought it was a fantastic nod to the film if used as inspiration at any point. Part of the speculation around the film buzz was a possible, Venom tie in that was referenced in similar trailer leaks with Spider-Man 3. Sadly there is no correlation between the films and Venom will just have to wait until 2018 to see the light of day if we are lucky. Overall the film could of had some stronger “science” and less floating camera work, but it was a solid and entertaining story to watch. It had laughs, cries and plenty of jumps to keep you engaged​ and was a lot of fun with audience participation.